Where is it? In Winton, 1400km north-west of Brisbane, Qld. 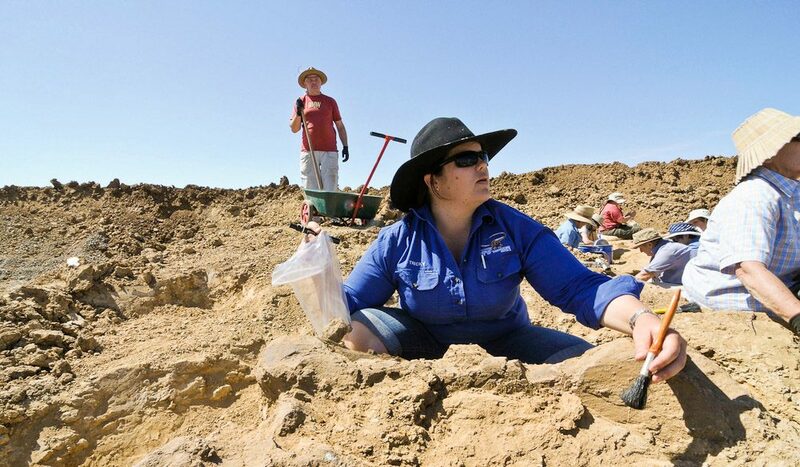 Get your hands dirty digging for dinosaur bones in Winton, a flat plateau where dinosaurs once roamed and roared. Or see what it’s like to be a paleontologist by handling and preparing real dinosaur bones. The interactive Australian Age of Dinosaurs houses the biggest collection of Australian fossils in the world and they’re constantly discovering more on site. The 1,400 hectare property also has many walking trails bustling with native wildlife.